Lock in a great price for Mary MacKillop Place – rated 9 by recent guests! The breakfast was a treat. "Continental breakfast" was an understatement. I loved the linen tablecloths. I have stayed here several times and it has become one of my favourite getaways. 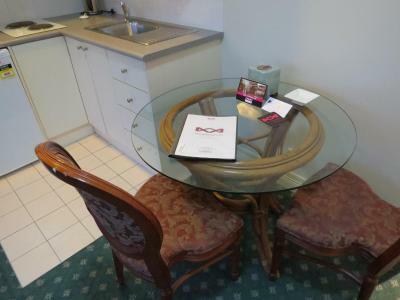 Always clean & comfortable, peaceful atmosphere, nice gardens, great buffet breakfast, close to train station & city. Highly recommend. Great value for money! Quiet, clean and the rooms were spacious and the grounds are gorgeous. Very quaint. Mary McKillop has the perfect location. It is very different to a standard hotel much more private. Experience was well above the cost of accomodation. Clean, very comfortable, air conditioned, free parking, quiet, and a yummy breakfast. a wonderful stay. Love the pancake machine & warm tea mugs at breakfast. To be frank the room was more than my expectation with welcome kit arranged and also the reception and other working staffs were pretty much supportive. Bathrooms were neat and clean and to be freak, I had a feeling as if its my private bathroom. Kitchen was available 24x7 wherein you can prepare tea, coffee or milk along with complimentary biscuits. Overall within the price I paid , I would say its beyond expectation and would highly recommend others (I was on a solo trip with single bed room). The place is so clean and tidy. Truly a value for money and they offer generous breakfast which you can choose from different options. 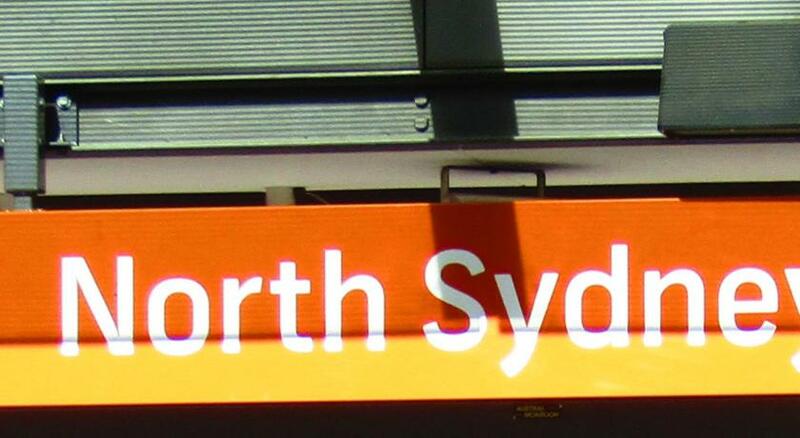 It is near to North Sydney Train Station, so in terms of access it so easy. Mary MacKillop Place This rating is a reflection of how the property compares to the industry standard when it comes to price, facilities and services available. It's based on a self-evaluation by the property. Use this rating to help choose your stay! 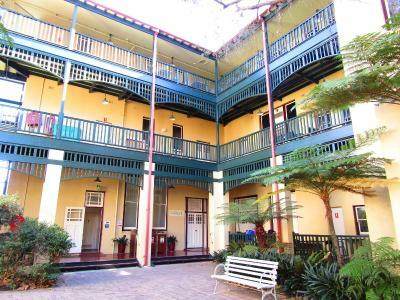 Mary Mackillop Place is located in the heart of North Sydney, within a 10-minute drive of Sydney Harbor Bridge and the world renowned Sydney Opera House. Free WiFi access is available. All rooms include heating, a work desk, tea/coffee making facilities and a flat-screen TV. Most rooms have a private bathroom with free toiletries and a hairdryer. Some rooms come with air conditioning, a seating area and a kitchenette. The property offers free use of guest laundry facilities. There is a guest lounge, luggage storage and a large conference facility. The continental breakfast buffet includes muesli, yogurt, toast, cereal, pancakes and fresh fruits. Dinner can be enjoyed at the on-site restaurant which features lamb tenderloin, gluten free dishes and vegetarian options. 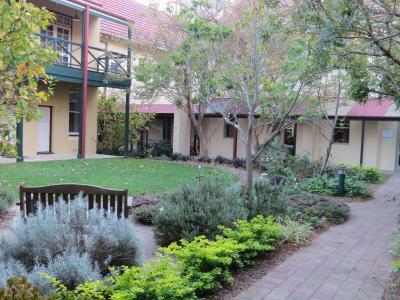 Mary Mackillop Place is a 25-minute drive from Sydney Airport and a 14-minute drive from Darling Harbor. It is within a 16-minute drive of Taronga Zoo and Surry Hills. 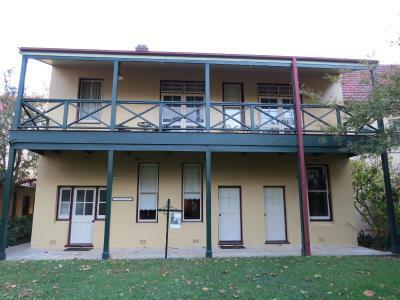 When would you like to stay at Mary MacKillop Place? This room includes heating, a work desk, tea/coffee making facilities and a flat-screen TV. It has access to shared bathroom facilities. Please note that there is no capacity for additional guests (no baby cot or extra beds are available). Please note that there is limited free covered parking (subject to availability). This room includes heating, a work desk, tea/coffee-making facilities and a flat-screen TV. There is a private bathroom with free toiletries and a shower. This studio includes heating, a work desk, tea/coffee-making facilities and a flat-screen TV. There is a private bathroom with free toiletries and a shower. The unit also features a kitchenette with a stovetop, a microwave, a bar fridge, kitchenware and a dining area. This studio includes heating, a work desk, tea/coffee-making facilities and a flat-screen TV. There is a private bathroom with free toiletries and a shower. The unit also features a kitchenette with a stovetop, a microwave, a bar fridge, kitchenware and a dining area. The apartment also has a sitting area with a sofa. Out of Ordinary!!! 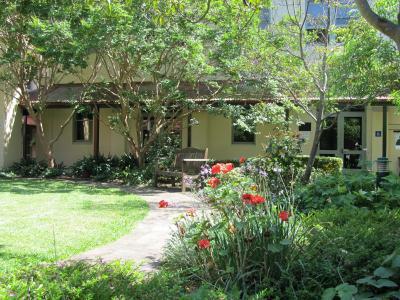 Delightful and tranquil place to be in the heart of North Sydney CBD. You can experience such a feeling of peace at Mary Mackillop Place. Hotel surroundings – This neighborhood is a great choice for travelers interested in scenery, harbors and restaurants – Check location Excellent location – show map Guests loved walking around the neighborhood! House Rules Mary MacKillop Place takes special requests – add in the next step! Mary MacKillop Place accepts these cards and reserves the right to temporarily hold an amount prior to arrival. Beautifully serene. Very close to transport. Easy access to Sydney attractions. Breakfast very good. The front desk staff seemed tired and not welcoming which is unusual. Love staying here every time. The location is perfect and easy access to city by train or bus. Gardens filled with serenity and the whole energy of the place is comforting. Budget accom yet comfortable and clean. Breakfast included and ample. Great for getaways where you just want to zone out or meditate. I had trouble finding the entrance! would like better blankets. always freezing, even with the aircon heater on. noise from street works. everything here is fantastic but sleep quality could be better: less noise, better blankets, new mattresses. pillows good. so clean and comfortable. best breakfast ever. great location. I arrived on the weekend and it was raining and it was unclear exactly how to get in. I got quite wet using the intercom and had to come back later after seeking refuge in a cafe. Other days it was great. More details about what needs to happen if you arrive on al Sunday afternoon would be good. It was very easy to walk from my room to the lift and from there a short stroll to the breakfast room. A great selection. It’s very pleasant, relaxing and a welcome inclusion.would love to have some protein- say boiled eggs? Single bed a bit too skinny & I’m not that big! Breakfast....setting....tranquility....a peaceful place....so handy to public transport. The pillows were a bit hard , I like light and fluffy type . Very simple yet comfortable accommodation. Loved the Hot Cross Buns for breakfast. Really enjoyed looking around the property - the museum was very interesting. Fine for my purposes, but this is essentially retreat-style accommodation for older people in a religious setting (but you can engage with that as much or as little as you want.) Great value that breakfast is included but it is not Darlinghurst (no flat whites or avo toast). 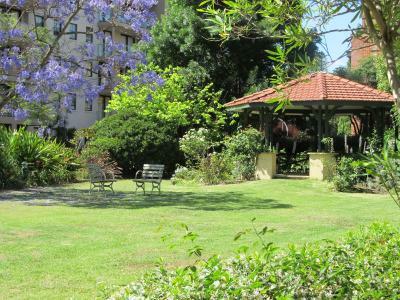 A tranquil garden oasis not far from the CBD - well-connected to the train and bus network. If you time it right, you can even head down to the ferry for a scenic trip to Circular Quay or Darling Harbour from McMahon's point. Good for business travellers on a budget - I'd be happy to work here or relax at the end of a long day. The location to train, the harbour and Sydney. An onsite restaurant is sometimes open in the evenings for dinner, and serves excellent food . The booking includes a good continental breakfast. 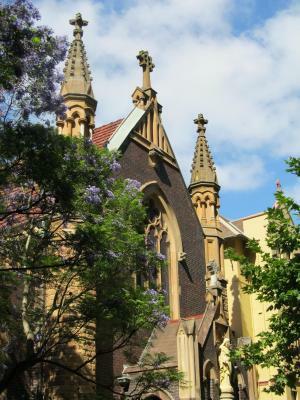 The site is in itself interesting, with a Museum, Chapel and Memorial to Mary MacKillop, Café with gifts and bookshop, heritage buildings and beautiful gardens. Thank you to hospitality staff.